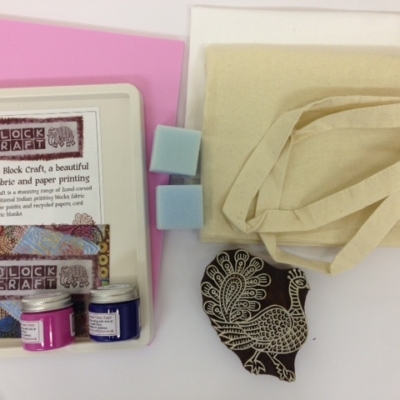 A fabulous Indian Block Printing Kit, perfect as a creative present or to add to your own collection! This kit contains everything you need to hand block print a fabric cotton pouch with Paisley designs! 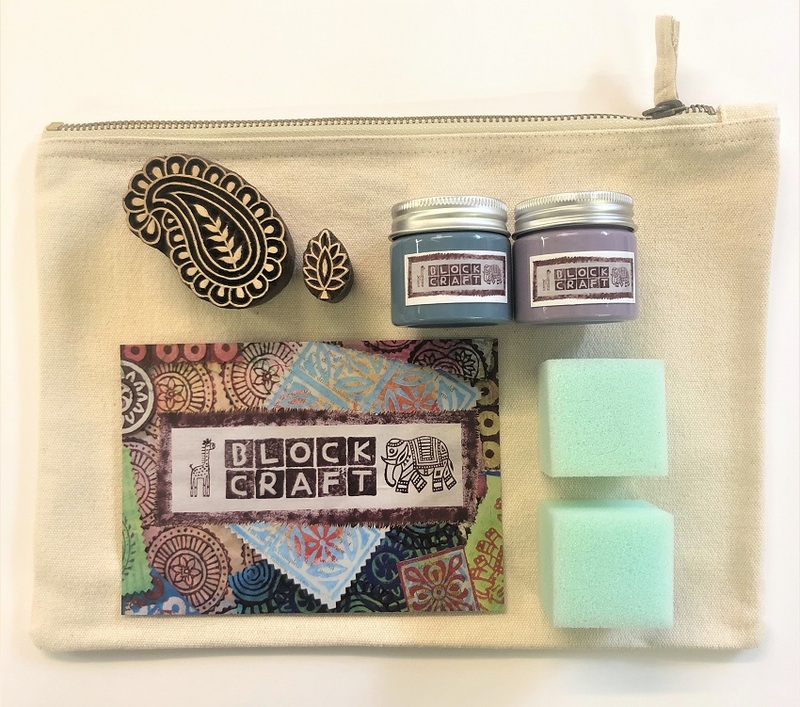 This Block printing kit makes a fantastic creative present for someone, or for yourself to add to your collection of Indian Printing Blocks. 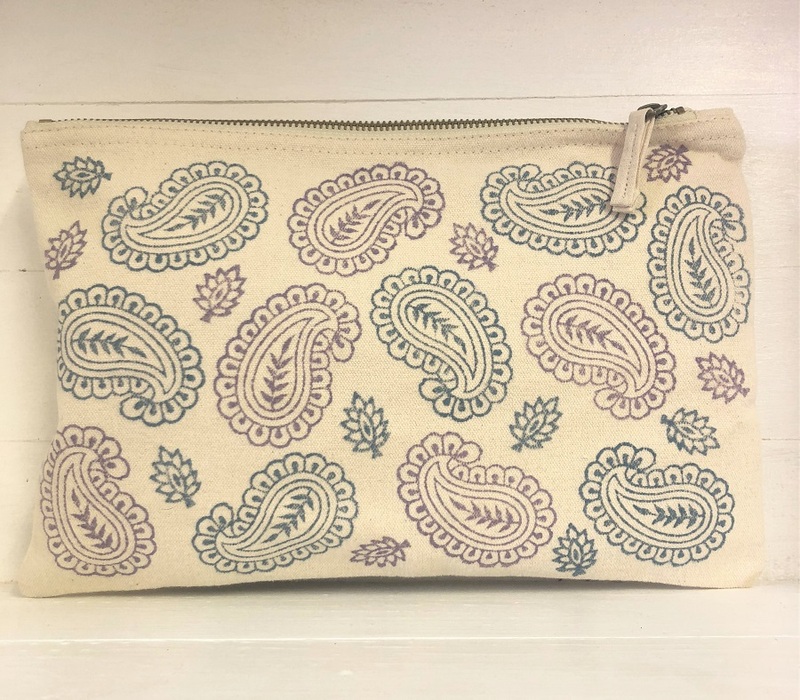 Contains everything you need to hand print a fabric pouch! 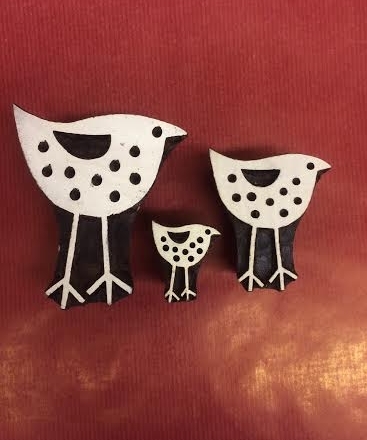 The paint included in the set is a water based fabric paint, but can also be used on paper & card. 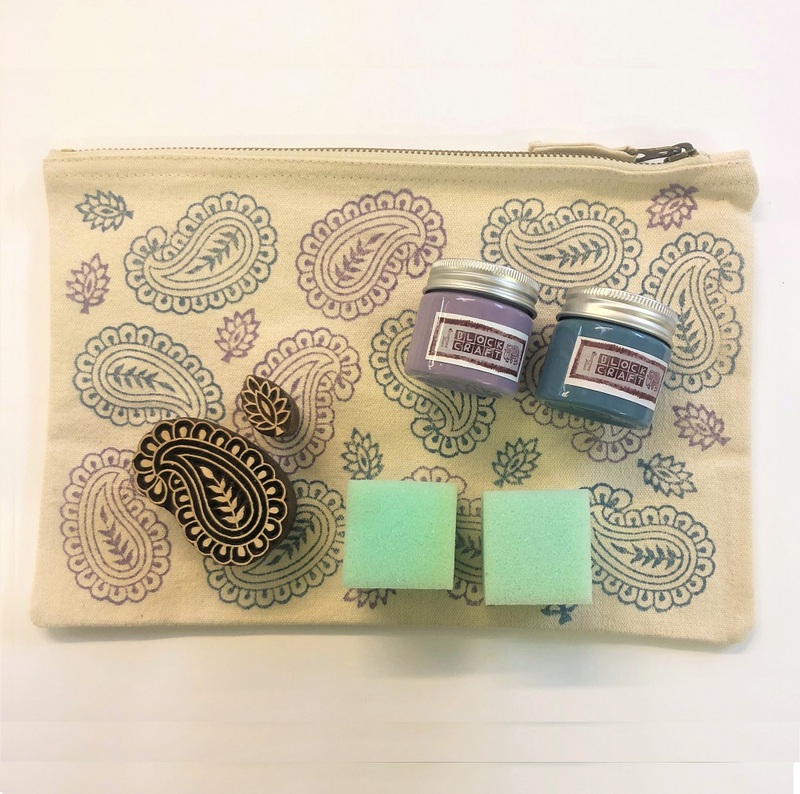 This kit does NOT contain a foam printing mat which can be purchased separately, find this under ‘Printing Essentials & Extras‘ You could also use newspaper or a towel underneath you when printing. 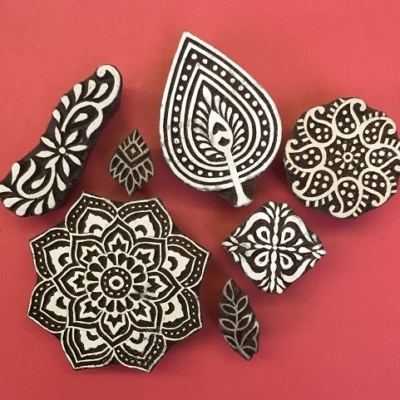 All of our Wooden Printing Blocks are hand carved in Jaipur, India from Sheesham wood, and can be used for printing onto all Fabrics, Paper, Card and Clay. 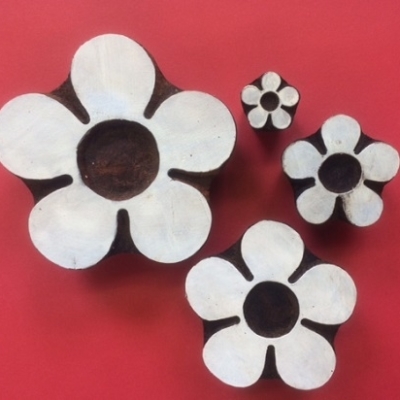 To apply the paint onto the woodblock you use a flat sponge which is provided in the kit, it is important to use a padded surface underneath you when you Block Print such as a foam mat or towel. If printing onto Fabric the paint is required to be heat set once dry to ensure it is permanent and washable, this can be done by either ironing or tumble drying the fabric, we then recommend washing the fabric at 40 degrees or under to avoid the colour fading!